The marketplace for social and collaboration software has changed markedly in the past year. We've seen mergers, acquisitions, and the advent of SharePoint 2016. Meanwhile, enterprise architects are struggling to align core collaborative services at a time when nearly every major vendor is adding "social" features within their own silos. 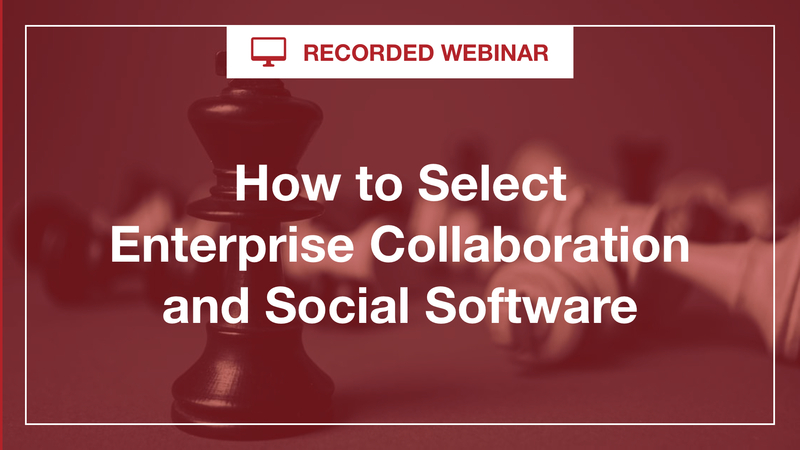 Join Kashyap for a tour of the current collaboration and social technology landscape, including how vendors are (and aren't) addressing key emerging trends. Come away with a proven methodology for selecting the right solution for your enterprise.